Sears often would name the Modern Homes after areas in which the company sold a lot of houses. For instance, there are models called the Pittsburgh, the Cleveland, the Albany, the Detroit, and the Trenton—just to name a few. Americus is a small city in Georgia that evidently was the location of many Sears kit homes because Sears named a house after it. 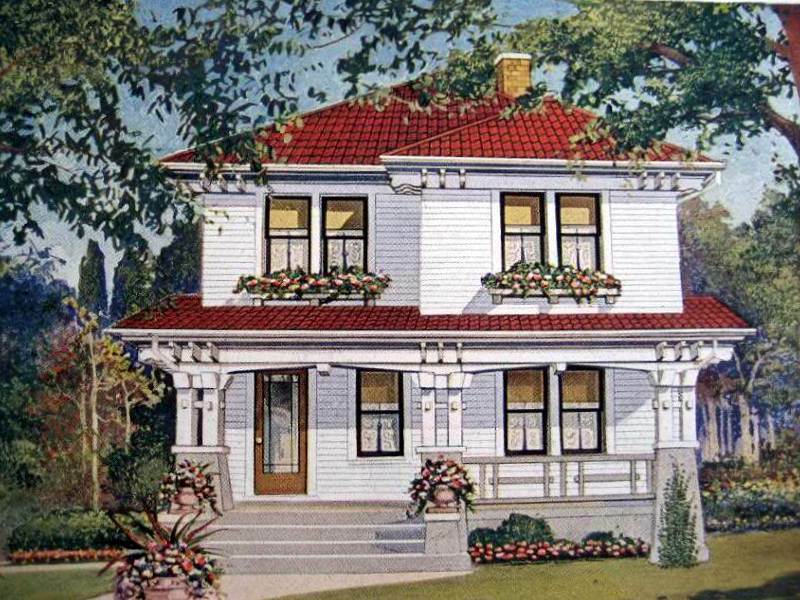 The Sears Americus is a Craftsman take on the Italian style. The Sears Americus from 1923. The Americus is one of the most distinctive designs that Sears ever sold, which makes it easy to identify "out in the wild". The house, with low-pitched hipped roofs and an asymmetrical facade, is loaded with Craftsman details. You can find this little piece of Georgia in Wheaton. This authenticated Americus was built in 1923. The original owners were William H. Suhring and his wife, Anna. William worked as an engraver. They got a mortgage from Sears, Roebuck for $5,000 in November 1922. The Suhrings owned the house until at least 1930.